The Military Glory Square with the monument of the same name. Similar are installed in cities with such a title, for example in Novgorod. 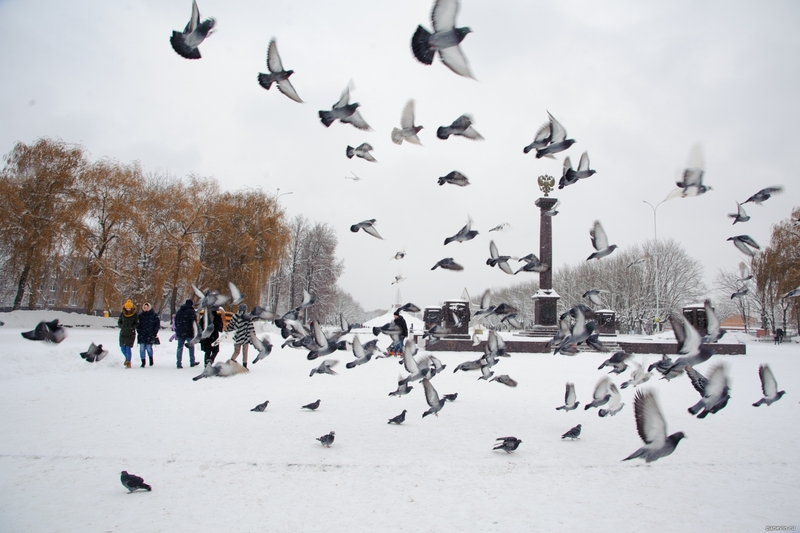 Blog, posts birds, Bryansk, winter. Bryansk on a photo, sights, monuments, sculptures.